Two years ago, the first piece we wrote about video games at this site detailed the intertwined legacy of the “Resident Evil” films and games. How the Capcom series and movie franchise impacted each other is one of the most interesting narratives when it comes to how the two forms work together sometimes to influence pop culture. Neither the game series nor the movie one would be what it is today without “Resident Evil 2,” one of the most impactful and landscape-changing games of all time. 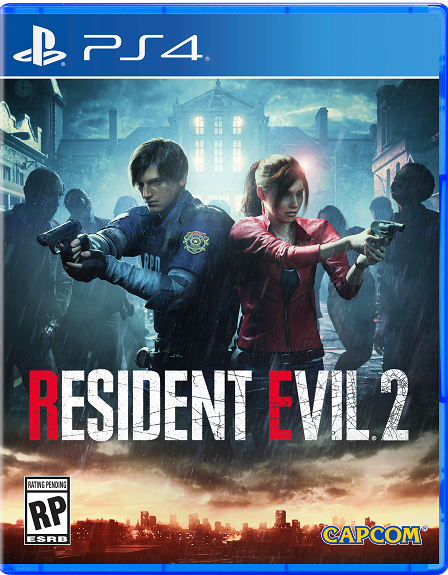 Somewhat surprisingly, before we get the inevitable “Resident Evil 8,” Capcom has gone back to “Resident Evil 2,” not content to merely release a remastered version of the game but a complete remake. It’s a must-play for an entirely new generation. This is not the case with “Resident Evil 2” which has been legitimately remade as a film would be with a new cast, crew, design, modern controls, and technological elements. Yes, the core story of the game is the same, but even that unfolds a bit differently than it did in 1998. Overall, it doesn’t feel like a new sheen has been placed on an old game as much as an entirely new experience. Yes, there are still some storytelling beats that don’t quite work and a structure that reminds one how often games in the ‘90s and early ‘00s were based on finding the right key for the right door (when you have a shotgun that could probably get the job done better) but this is not merely a once-great game being re-released as much as it is a great 2019 game in its own right. You play either Leon S. Kennedy or Claire Redfield on the day that the apocalypse basically happened in Raccoon City. Leon is a rookie cop showing up for work, only to find it full of nightmarish creatures. Claire is looking for her brother Chris. You can play either character, and each has different story arcs—so it’s advised that you play both to experience the game completely. Most of the game takes place in a massive police station building, in which ammo and health are scarce and enemies are constantly coming in through windows and from behind closed doors. Of course, there is way more detail in every aspect of the game’s setting than there was in 1998. When you walk into the massive hall of the police station, you realize that this game’s setting has been rebuilt from the ground up, giving you the sense that you’re entering a brand-new space, full of new, deadlier enemies. The game feels more deliberately of a piece with the terrifying “Resident Evil 7” than the more action-packed entries like “Resident Evil 5” and “Resident Evil 6.” The technical achievements of the game create a tense, atmospheric, downright scary experience. You will run because you don’t have enough ammo or health to fight. You will hide. You will have to use your brain to figure out how to get out of a seemingly impossible situation. And it’s in those ways that “Resident Evil 2” reminds one how great a game—or a movie—can be when it defies expectations. We’re so accustomed to playing zombie games that encourage action and excitement, but the “RE” games, and this one especially, demand different things from the player. It’s the level of detail in the remake of “Resident Evil 2” that reflects the care for the product put into it by Capcom and all of the developers. It’s not pure nostalgia, which is driven almost solely by trying to remind someone of something they once loved, as much as it’s a quest to make something old feel completely new again. So many franchises have come and gone in the two decades since the first “Resident Evil” game. May this one never die. Everything's Manipulated, but to What End? : Robert Greene on "Kate Plays Christine"